A recent survey by Czech Tourism found that when international travelers hear the word Europe, they immediately think of Western Europe. Thus the iron curtain is still casting a shadow over important players in Europe. As the late Robin Williams once said of Canada, it’s difficult to be appreciated when there’s such a large and loud party going on downstairs. France, England, Italy and Germany have been throwing a very loud party indeed over these last dozen decades or so, but there’s an awful lot to experience east of Berlin. As we prepare to celebrate the 25th Anniversary of the Fall of the Berlin Wall, we should keep in mind that other countries also have come in from the Soviet cold as well. Over its last 10 years in the European Union, Poland has seen its GDP grow at an average clip of 4 percent and Hilton Hotels has noticed. Hilton operates some 18 hotels in Poland. In May, Warsaw’s DoubleTree by Hilton Hotel & Conference Centre opened as a 360-room hotel in one of Eastern Europe’s largest conference centers. In 2015, the Polish city of Wroclaw will get its first Hilton when the 100-room Hampton by Hilton opens in the city center. Later this year, Hampton by Hilton will open its largest European hotel in Poland - Hampton by Hilton Warsaw City Centre. “The country’s attractiveness as a business destination has grown considerably in recent years and DoubleTree by Hilton Hotel & Conference Centre Warsaw caters to strong demand in the capital of Warsaw,” said Simon Vincent, president, EMEA, Hilton Worldwide. Montenegro may not be high on the recognition list of most travelers, but that’s likely to change before long. 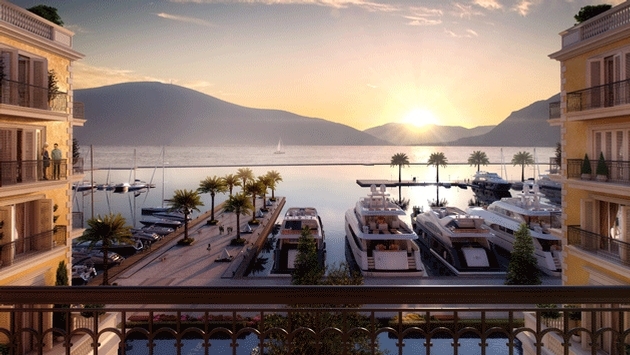 The Regent Porto Montenegro opened on Aug. 1 as the luxury hotel component in the Porto Montenegro super-yacht marina. 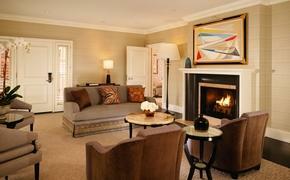 The 51-room and 35-suite deluxe property is Regent Hotels & Resorts’ second property in Europe. In celebration of the opening, Regent is offering an introductory rate of €333 ($448) a night through Dec. 21. Italianate palaces with nautical flourishes were applied by ReardonSmith Architects to connect the resort aesthetically to the wider Mediterranean culture. Vienna International Hotelmanagement AG (VI), Austria’s biggest hotel operator, will manage the Marriott Hotel Minsk when it opens in early 2015. Minsk, the capital of Belarus, exemplifies a destination that has been off of the travel radar. Mostly levelled in World War II, the city was unfortunately rebuilt by Stalinist architects. The 220-room Marriott Hotel will be mostly a business property with its 590-seat ballroom and its plethora of meeting rooms. Vienna has been going great guns in recent years In total, Vienna recorded around 12.7 million visitor overnights in 2013, not including the 120,000 Danube river cruisers calling at Vienna. As the city prepares to celebrate 150 years of the Ringstrasse, it’s seen enormous growth in hotel capacity highlighted by the new 253-room Meliá Vienna that opened in a 58-story skyscraper on the northern bank of the Danube. The 143-room Park Hyatt Vienna also opened in the Goldenes Quartier, Vienna’s new luxury shopping zone as the first Hyatt hotel in Austria.